Though the Red Sox captured the American League Eastern Division crown with 92 wins for the second straight year, it was obvious that something was missing. Even though he's based in Los Angeles and can only watch from afar, Fox Sports' Kevin Burkhardt knows exactly what it was. 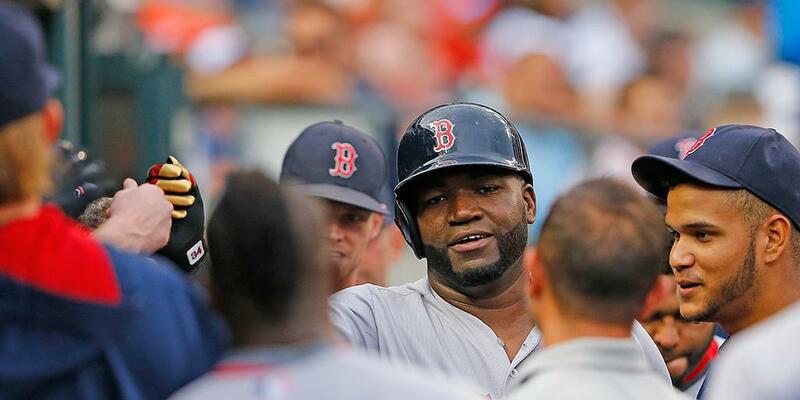 Speaking on the WDHA Morning Jolt in New Jersey this week, Kevin talked about working with former Red Sox slugger David Ortiz on Fox's pre-game and post-game shows. Obviously the Red Sox had a good year...they won the division...even though they came up short against the Astros. I could see what was missing. When you're around (Ortiz) all the time, it's easy to see. I didn't know Ortiz (prior to working with him), but I had always heard incredible things about him. We've been around him now for three weeks straight and I get it. I totally understand what they were missing. Forget about his talent. Just what he brings to the table.... He lightens the mood every day. He takes the pressure off. He's fun and he's smart. I'll tell you what, there aren't many days I don't laugh going to work with him. The complete interview with Kevin can be heard here on the WDHA Morning Jolt website.